While the application was first developed for GM OBD-I ECUs, it uses a very flexible way of parsing ECU data stream that has proven useful to a lot of other car enthusiasts such as owners of BMW, Ford, DSM (Mitsubishi), Porsche, etc. The application also includes a complete tuning interface as well as data log file viewers which are in the form of time series, maps and scatter plots. Some questions come up more often than others so we though we would write the most common ones here to hopefully answer most of your questions. For the rest, feel free to contact us! Is ALDLdroid compatible with my vehicle ? This is by far the most popular question. And the answer is pretty straight forward. 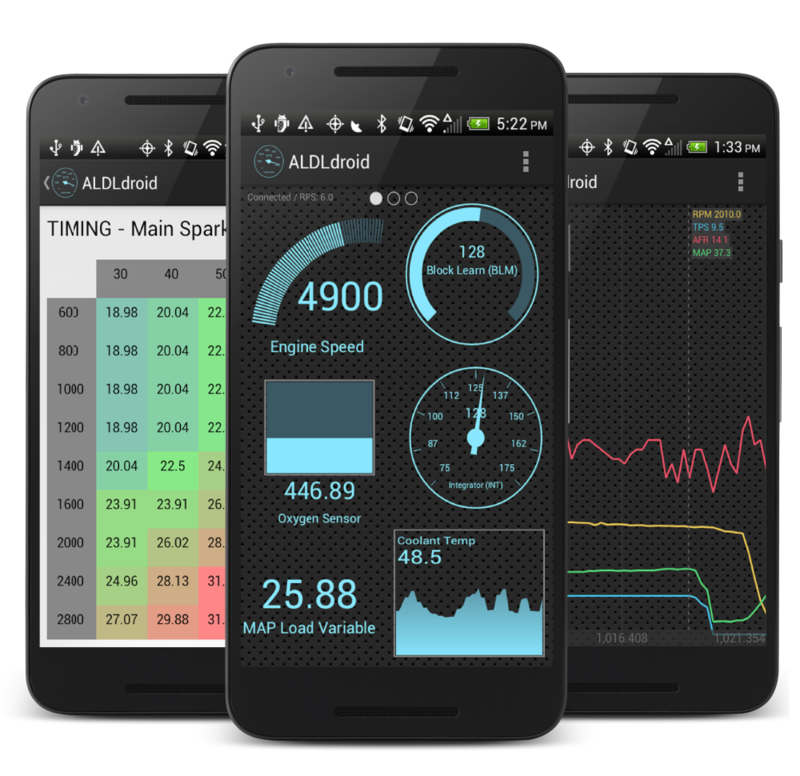 The application works with ADX and XDF file which are pretty well known in the GM community as they are used with TunerPro tuning software. If you're already familiar with TunerPro, you know about these files and you might already have them. If that's the case, you're all set. If not, you might still be in luck. You will have to look for ADX file (for data logging) or XDF file (for tuning) on your respective car forums. Some forums specialized in tuning such as GearHead EFI or PCM Hacking might have these files you're after. Is ALDLdroid compatible with my Android device ? The application was build and tested on a somewhat old HTC One V phone to make sure that the app is fast even on older device running older OS. Technically, the app can run on older phone just fine. You will need either USB host mode or Bluetooth capability to connect to your ECU for data logging. Most phone will have the Bluetooth capability these days and even USB host mode is getting more common than not so it should be no problem but just watch out for that. Which hardware do you recommend ? For data logging purposes, I highly suggest you contact my friend John at 1320 Eletronics. Copyright 2019 ALDLdroid. All Rights Reserved.